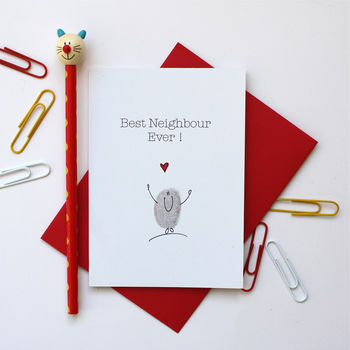 A cute thumb print thank you / birthday / leaving card for your neighbour/s by illustrator Adam Regester. The card can be created for your neighbour or neighbours . Just select from the options on the right.